Padma Lakshmi looks super luxe for the April 2018 issue of ELLE India. The ‘Top Chef’ host recently teamed up with MAC Cosmetics for a limited-edition makeup collaboration. The capsule collection includes lipstick, blush, eyeshadow and eyeliner. 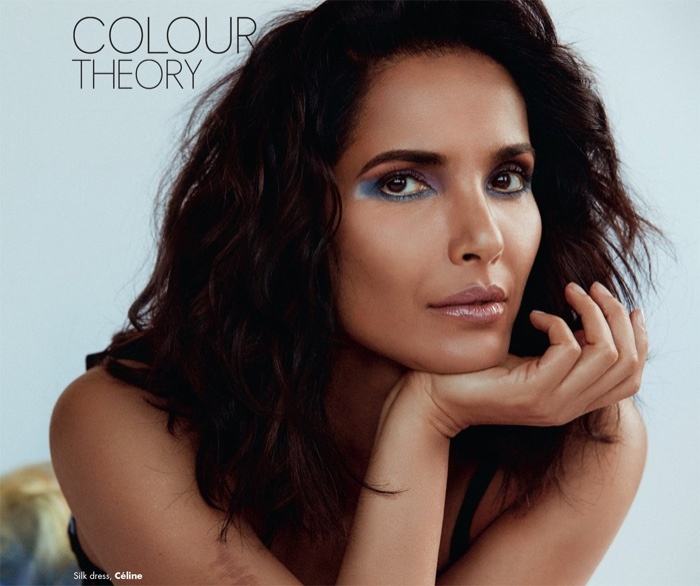 Padma shows off the colorful makeup looks in a shoot captured by Takahiro Ogawa. For beauty, makeup artist Kabukiworks on her vibrant lip color with hair by Jeanie Syfu. Stylist Malini Banerji dresses Padma in designs from the likes of Celine, 3.1 Phillip Lim and Johanna Ortiz.